City DPRD's Commission B, revealed the OK OCE training program in each sub-district is able to improve the economy of people. Moreover many people are enthuastic and actively participating the program.
" 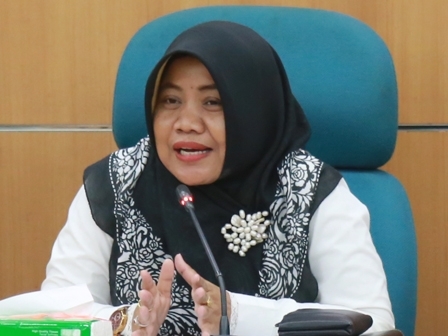 we believe this program can create new jobs that impact on improving the economy"
"Seeing this, we believe this program can create new jobs that impact on improving the economy," expressed Yusriah Dzinnun, Chairperson of City DPRD's Commission B, Tuesday (2/20). To smoothen the program, there needs to be the ongoing mentoring towards participants of OK OCE, including capital injection and banking access thus people can be more indepedent. "Training should be sustainable. After it goes well, new participant can be absorbed without leaving mentoring," he stated. As known, up to February 15, training has absorbed more than 6,000 or significantly increased compared to last year, which reached only 4,000 people.